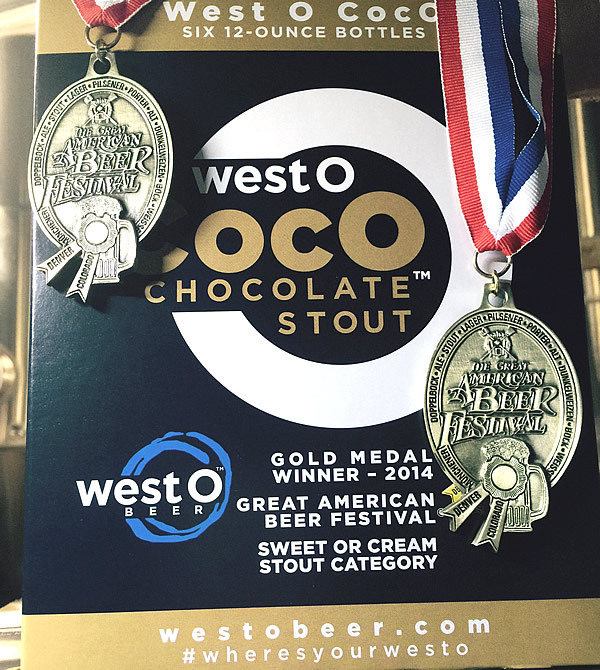 BACK-TO-BACK: By now you may know the news, West O CocO Chocolate Stout™ wins the Gold Medal at the Great American Beer Festival® 2015 in the category Sweet or Cream Stout. You know, to go along with our Gold Medal win, same category, same festival…last year. It takes a solid, consistent contender to take the top spot two years in a row, and we’re happy to say this is it. Will there be a repeat of the Gold Medal party in the West O tasting room? Yes, please. Details to come. In the meantime…cheers to Iowa Craft Beer! Copyright © 2017 West O Beer, all rights reserved. Website by F8 Creative.